Americans for Nonsmokers' Rights fights the tobacco industry at all levels of government to protect nonsmokers from exposure to secondhand smoke and prevent tobacco addiction among youth. We're working with them to rethink their web properties and re-architect, re-design and re-build their online presence to better support their ongoing work to defend public health. 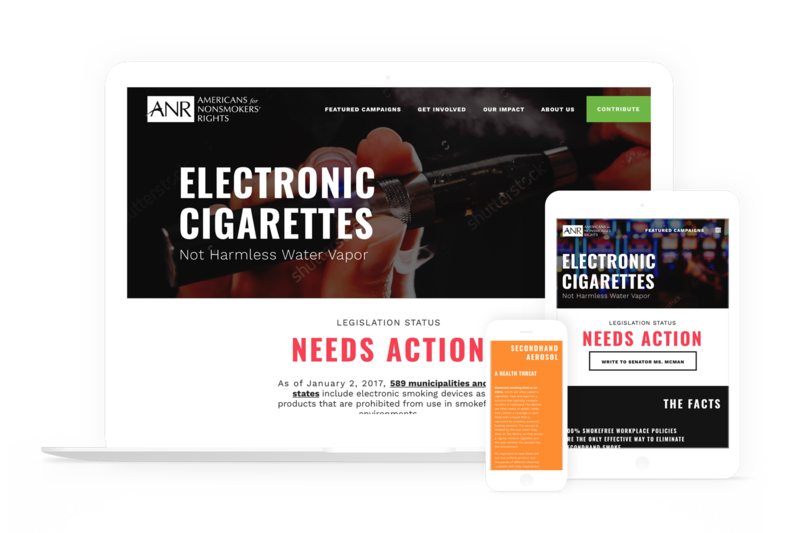 We recently launched their new 501(c)4 site, Americans for Nonsmokers' Rights, which provides a platform for their continued advocacy to protect nonsmokers in multi-unit housing, casinos, and other hotspots of second-hand smoke exposure nationwide.